Deluxe divot repair tool with money clip/pocket clip combo on back. with removable ball marker w/logo Heavy duty die struck brass construction for years of use. USA! CLICK BELOW FOR PRICING. 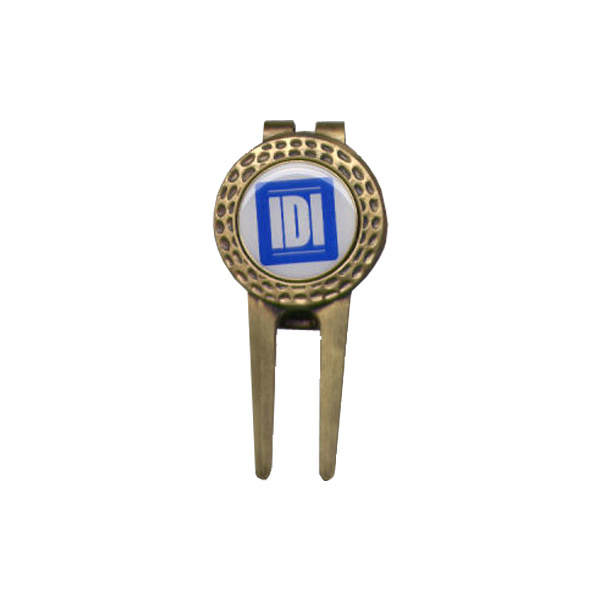 Item #: DF/M (55): Divot fixer with ball marker. Size: Ball marker- 1 inch ; Tool- 3 inch x 1 inch.